Illinois' Julian Childers swings for the ball during the match against Valparaiso at the Atkins Tennis Center on Friday, January 22, 2016. Illinois won 4-0. 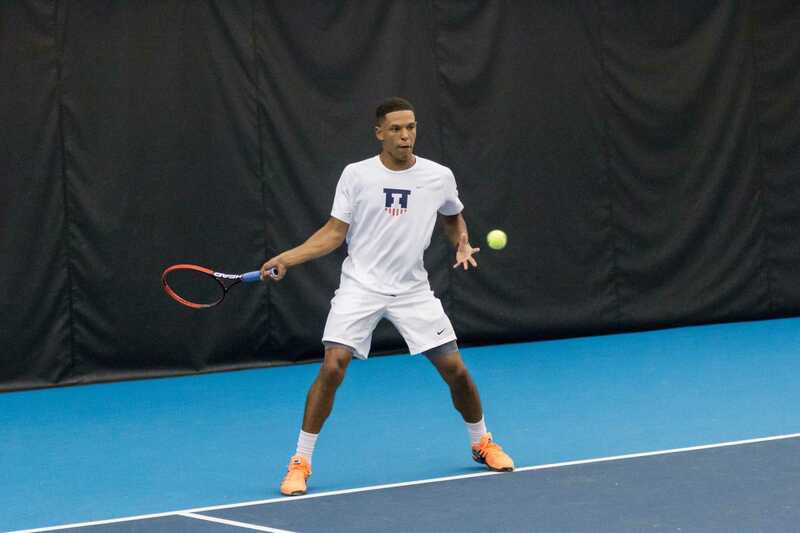 The Illinois men’s tennis team went up against some stiff competition over the weekend. The No. 10 Tar Heels came away with three straight victories in singles at Nos. 3, 4 and 5 singles, ultimately defeating the Illini 4-0ss. Head coach Brad Dancer noted that North Carolina is a talented team and was proud of the way his team competed, even though the result was not what the team had wanted. According to Dancer, there are a few improvements he would like to see his team make going forward through the rest of the season. Dancer wanted to put the North Carolina match behind them and prepare for Illinois’ next matchup against the Notre Dame Fighting Irish. 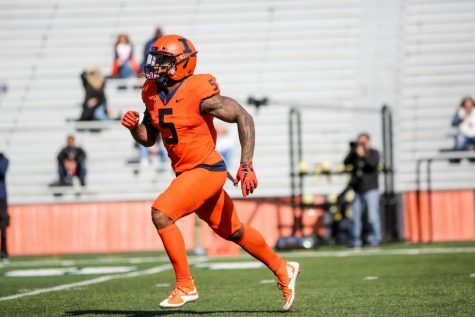 The Illini defeated the Fighting Irish 4-0 in their previous matchup.